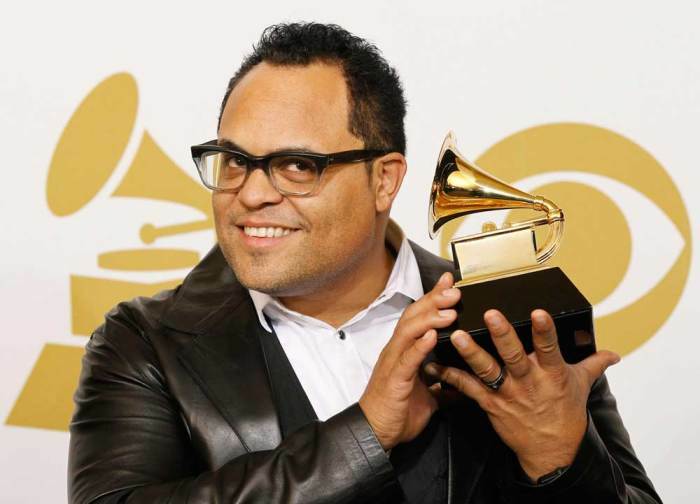 Popular worship leader Israel Houghton has had quite the rough ride after announcing his divorce earlier this year. But in a new social media post, the singer reveals that his new girlfriend, whom he calls his "best friend," has been there for him through it all. "A friend loves at all times..." Houghton posted a picture of himself and Bailon sleeping on each other along with the scripture Proverbs 17:17. "She @adriennebailon is my best friend. Wanna know why? Because, in times of adversity & storms she loved me AND my flaws," he captioned the photo. The "Friend of God" performer used the Hashtags - TrueFriendship, FlawsAndAll, WeLeanOnEachother, NationalBestfriendDay at the end of his message. News of Houghton, 44 and Bailon's, 32, romance surfaced when she was photographed in a bikini on the beach in Mexico with the Lakewood Church worship leader (currently on indefinite leave) in March. What started as rumors stemming from tabloid photos that Bailon and Houghton were dating were quickly confirmed and it came just a month after Houghton publicly announced that his marriage of some 20 years was legally over. Bailon initially stayed mum as the photos circulated and Houghton was the first to address the rumors. The former "Cheetah Girl" followed suit soon after, on her daytime talk show and confirmed the relationship. Bailon was pegged as the reason for Houghton's divorce when the beach photos surfaced, but the actress maintained that she didn't even know him at the time of his personal failure, and said that the public blaming her for a marriage ending was "hurtful." Houghton has since taken leave of his role as worship leader of Pastor Joel Osteen's Lakewood Church. Houghton and Bailon first worked together on the 2013 flick produced by Houghton, "I'm in Love with a Church Girl."